View Stock market crash and over 3,000,000 other topics on Qwiki. 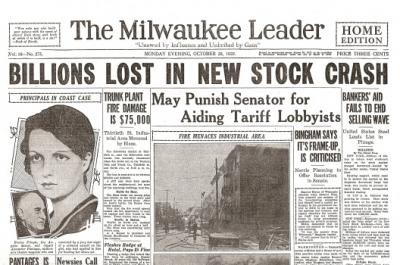 "If we can boondoggle ourselves out of this depression, that word is going to be enshrined in the hearts of the American people for years to come"
In October 1929, The stock market took a devastating decline for the worst. 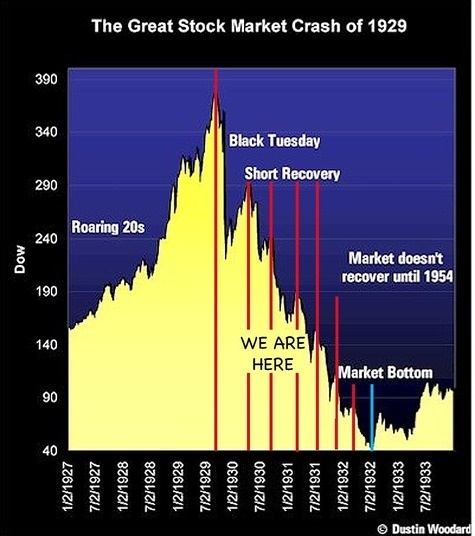 Continued selloff went on until 1932, lowering the DIJA substantially. This would later lead to the closure of banks and bankrupting of businesses.